This document has been produced by Primary Teaching Services Limited, www.primaryteaching.co.uk, a website offering a mail order service to customers. Primary Teaching Services Limited needs to gather and use certain information about individuals. This policy describes how this personal data must be collected, handled and stored to meet the company’s data protection standards and comply with the law. Primary Teaching Services Limited (Referred to as the company here after) needs to process certain information about natural living persons. These include customers, suppliers, business contacts, employees and any other natural persons that the organisation has a relationship with or holds personal information on. Complies with the data protection laws and follows good practice and codes of conduct. Protects the rights of all natural living persons on which it controls and processes data. Is open about how the organisation controls and processes a natural living person’s data. Protects itself from the risks of data breach and information leakage. DPA describes how organisations — including the company— must collect, handle and store personal information. GDPR describes how organisations — including the company— must collect, handle and store personal information. All staff and volunteers of the company. All contractors, suppliers and other people working on behalf of the company. It applies to all data that the company holds relating to identifiable individuals, even if that information technically falls outside of the DPA or GDPR. Any other information from which an individual’s identity can be inferred. Any proprietary information belonging to third parties that the company is contractually obligated to protect. Breaches of confidentiality - For instance, information being given out inappropriately. Failing to offer choice - For instance, all individuals should be free to choose how the company uses data relating to them. Reputational damage - For instance, the company could suffer if hackers successfully gained access to sensitive data. Damage to business operations through the disclosure of proprietary information. Everyone who works for or with the company has some responsibility for ensuring data is controlled and processed in a compliant manner. Each team that handles sensitive data must ensure that it is handled and processed in line with this policy and the eight data protection principles of the DPA. ensuring Staff understand and follow protocol that only authorized individuals may enter the server room (eg. IT Team or Engineers). The company will provide training to all employees to help them understand their responsibilities when handling data in line with the Training Policy. Employees should keep all data secure by following the guidelines in the information security policies, and the company procedures. Strong Passwords must only be used and managed and should only be shared on approval from a member of the board of directors. Personal data should never be disclosed to unauthorised people, either within the company or externally. If employees suspect a breach or security event it should be reported to the information the Data Protection Officer, Karen White. 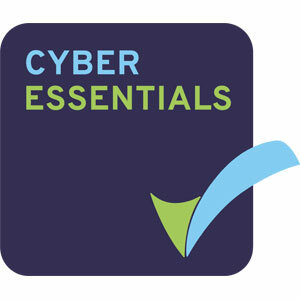 Staff must only ever use secure internet connections & secure Wi-Fi to access company emails & systems. Employees must follow company security procedures to prevent unauthorized access to the premises. For example, all external doors & security doors must be closed. Employees should only access certain areas of the business when required to do so for their job role. All staff will receive training on this policy, supporting policies and company procedures. New joiners will receive training as part of the induction process. Further training will be provided annually or whenever there is a substantial change in the law or the company policy and procedure. Records of this training will maintained as part of the Training Policy. The company will ensure any processing of personal data has a documented legal basis. All parties who are responsible for processing personal data will be aware of the conditions for processing. The conditions for processing will be available to data subjects in the form of a privacy notice or a fair processing notice. To ensure fair, lawful and transparent processing the following is in place outlining how the company intends to use and protect data subjects, data. Data must be encrypted before being transferred electronically. The I.T. manager can explain how to send data to authorised external contacts. Retention period 7 years for auditing purposes. Non-purchaser data will be stored for 3 years. 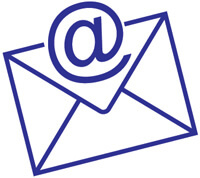 Automated Emails Automated Emails are generated for customers relating to order information. Automated sales emails are generated for customers opted into receive emails; the customer is always offered the right to unsubscribe. Data should be protected by strong passwords that are changed regularly and never shared between employees, unless approved by the board of directors. If data is stored on removable media (like a USB or CD), these should be kept locked away securely when not being used. Payment details taken over the telephone must have the relevant security steps performed for PCI compliance. The law requires Primary Teaching Services Limited to take reasonable steps to ensure data is kept accurate & up to date. The more important it is that the personal data is accurate, the greater the effort Primary Teaching Services Limited should put into ensuring its accuracy. Primary Teaching Services Limited will make it easy for data subjects to update the information Primary Teaching Services Limited holds about them. For instance, via the company website. Customer data will be kept for 7 years. Non-purchaser data will be kept for 3 years. After this time it will be deleted from our database, this will be done during the low trade months, annually during November – December commencing in 2018. The company shall ensure that any personal data processed is accurate and up to date by following the Data Quality Assurance Procedure when collecting or processing data. Data subjects have a responsibility to take reasonable steps to ensure that any personal data the company holds is accurate and updated as required. For example, if their personal circumstances change, they should inform the company so that their records can be updated. The company shall ensure that any personal data collected is used only for the purpose for which it was obtained. Personal data obtained for one purpose shall not be used for any unconnected purpose unless the individual concerned has provided consent or there is a legal obligation to do otherwise. The company will retain personal data for no longer than is necessary. What is necessary will depend on the circumstances of each case, taking into account the reasons that the personal data was obtained, but should be determined in a manner consistent with the company’s data retention guidelines. The company’s Information Asset Register contains the information on how long each asset should be retained for. This retention does not affect the subject’s right to erasure. Assets should be disposed of by following the Disposals Procedure. The company shall keep sensitive data secure against loss, misuse or unauthorised disclosure. Where other organisations process personal data as a service on behalf of the company, there must be contractual clauses to provide the same level of data protection as the company. In order to provide consistent information protection throughout the company, the Information Security Policy shall be implemented and enforced through the use of supporting policies and procedures, training and appropriate technologies. The company shall follow the principle of privacy by design and default. This is an approach to projects that promote privacy and data protection compliance from the start. The DPO will be responsible for conducting Privacy Impact Assessments and ensuring that all IT projects commence with a privacy plan. When relevant, and when it does not have a negative impact on the data subject, privacy settings will be set to the most private by default. Where processing personal information is likely to result in a risk to the rights and freedoms of the data subjects, a data protection impact assessment shall be carried out and the results shall be implemented and incorporated into the project. Records of all DPIAs shall be kept and the assessment shall be carried out according to the Data Protection Impact Assessment Procedure. All data controlled by the company must be kept in a secure manner. In cases where data is stored on printed paper, it should be kept in a secure place where unauthorised personnel cannot access it. Printed data should be shredded when it is no longer needed according to the standards in the Disposals Procedure. Data stored on a computer should be protected as outlined in the Information Security Policy. Data stored on CDs or memory sticks must comply with the guidelines in the Removable Media Policy. Data should be regularly backed up in line with the company’s continuity and disaster recovery plans. All servers containing sensitive data must be approved and protected by security software and strong firewalls. The company complies with the strict restrictions on transferring data internationally. No data can be transferred without first following the International Data Transfer Procedure. This procedure ensures that data doesn’t get transferred unless there are appropriate and approved security measures in place to protect the data, such as adequacy decisions or binding corporate rules. The company shall abide by the data subject’s rights laid out in both the DPA and GDPR. Any request from an individual shall be handled by the DPO and a response issued within a month. Where the company uses consent as the legal basis for processing data, there must be a record of the data subject’s active consent. Consent should be gathered in the manner outlined in the Consent Management Procedure. The data subject has the right to withdraw this consent at any time. This right does not affect any of the other rights. In cases where sensitive personal data is processed, the data subject's explicit consent to this processing will be required, unless exceptional circumstances apply or there is a legal obligation to do this (e.g. to comply with legal obligations to ensure health and safety at work). Any such consent will need to clearly identify what the relevant data is, why it is being processed and to whom it will be disclosed. Date of Birth is not stored and the terms and conditions see www.primaryteaching.co.uk/ts-and-cs do not agree to sales to customers under the age of 16. Under GDPR data subjects have the right to be informed about how their data is processed. To comply with this right, the company provides the required information in its fair processing notice. Under the Data Protection Act, data subjects are entitled, subject to certain exceptions, to request access to information held about them. These requests shall be passed to the DPO to handle. When handling these requests, a response must be made to the data subject within one month. The requests must be recorded and monitored and the process from the Subject Access Request Procedure should be followed. Under GDPR data subjects can request that their personal data is transferred from one data controller to another. These requests shall be passed to the DPO to handle. When handling these requests, a response must be made to the data subject within one month. The requests must be recorded and monitored and the process from the Data Portability Procedure should be followed. Under GDPR data subjects can request that personal information held on them is corrected. These requests shall be passed to the DPO to handle. When handling these requests, a response must be made to the data subject within one month. The requests must be recorded and monitored and the process from the Subject Rectification Request Procedure should be followed. Under GDPR data subjects may request that any information held on them is deleted or removed, and any third parties who process or use that data must also comply with the request. An erasure request can only be refused if an exemption applies. These requests shall be passed to the DPO to handle. When handling these requests, a response must be made to the data subject within one month. The requests must be recorded and monitored and the process from the Subject Erasure Request Procedure should be followed. Under GDPR data subjects can request a restriction of processing on their personal data in instances where the data subject does not wish for their data to be erased but does not want the data processed. These requests shall be passed to the DPO to handle. When handling these requests, a response must be made to the data subject within one month. The requests must be recorded and monitored and the process from the Restricting Processing Procedure should be followed. Under GDPR data subjects can object to processing if they suspect that their data is being processed illegally. Following an objection, the data controller is required to investigate the claim and communicate the results to the data subject. These requests shall be passed to the DPO to handle. When handling these requests, a response must be made to the data subject within one month. The requests must be recorded and monitored and the process from the Objection Request Procedure should be followed. Under GDPR data subjects have the right to be informed if they are being subject to automated decision making and the possible consequences this automated decision making could have on them. As documented on xxxxxxxsection 13 under Data Use. Investigate the failure and take remedial steps if necessary. Maintain a register of compliance failures. Written Warning – An official warning that any further infractions will lead to further action. Removal of privileges – The staff member will be forbidden from performing certain actions, accessing certain systems or using certain devices. Corrective action – The member of staff shall take actions so that no further infractions occur for example, training. Termination of employment – The member of staff shall no longer work for the company. Civil action – A claim of legal recompense may be made against the staff member. Legal action – The Company will pass details of the infraction to the authorities with the intention of pressing charges. Removal of privileges – The contracted third party will be forbidden from performing certain actions, accessing certain systems or using certain devices. Corrective action – The contracted third party shall take actions so that no further infractions occur for example, training. Security Audit – An audit of the contracted third party’s systems to make sure that they still meet their obligations. Termination of contract – The contracted third party shall no longer be contracted to work for the company. Civil action – A claim of legal recompense may be made against the contracted third party. This policy should be reviewed as scheduled once every year, unless performance indicators, changes to legislation or the organisation necessitate it.